THE CAMPSITE, SURROUNDED BY GREENERY, IS AN INTEGRAL PART OF THE FARM. IT’S LOCATED ON A GENTLE HILL OVERLOOKING THE SEA. THE BEACH CAN BE ACCESSED IN 5 MINUTES BY FOOT VIA A PATH THROUGH THE PINE TREES. 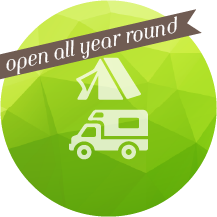 ♥ All pitches for motorhomes, caravan and tents are equipped with electricity end wi-fi. ♥ There are fully accessible bathrooms supplied with solar-heated water. Each bathroom is provided with a shower, a washbasin, a toilet, and a bidet. These are available for exclusive use, upon request. ♥ Token operated washing machines, sinks for laundry and washing up are available to all guests. A freezer for ice packs is at free disposal of our guests while lockable cold boxes can be rented upon request. ♥ The campsite offers a series of communal areas. A farm shop-bistro, open from mid April to mid October, with outdoor tables under the pergola and hammocks among the olive trees; a room dedicated to cultural and convivial moments, with a projector and widescreen; an area relax with a hot tub; and an info-point where you can find out all you need to know for your stay on Elba Island and information about the environment surrounding the farm. ♥ A secluded and quiet area of the campsite, shaded by a grove of cork oaks, is reserved for guests without children. * The PLUS pitches are bigger and/or have a panoramic position. ** The EXTRA pitches are comfortable and a bit special, provided with open air shower, sink for dishes, table and chairs. The booking fare is € 10.00 to be paid on departure together with the due amount. Environment-friendly guests (without car or motorcycle) get a 10% discount . In July and August we only accept reservations for 3 nights at least. Check-out: payment should be done the day before departure. The pitch must be cleared within 12 o’clock. We need this information to find the best place for you. Privacy Notice: The user acknowledges the rights attributed by art. 3 of the italian Law no. 675/96 on the processing of personal data and authorizes the receiver to process the relative data sent by means of this electronic form solely for the indicated purposes.